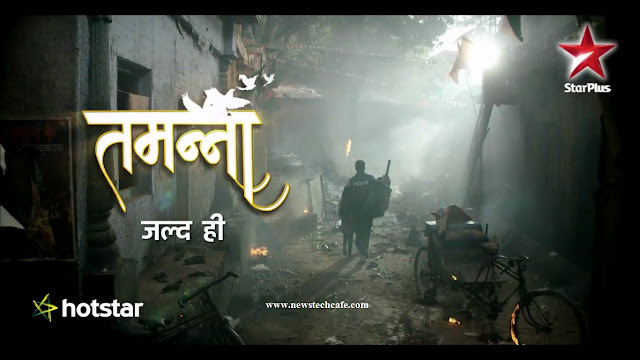 Star Plus which is among the top most Hindi daily drama Tv channel . In 2016, Star Plus is presenting a special gift to his viewers ,that gift is his new tv show/serial which is tentatively titled as Tamanna . Star Plus has launched a great promo of this show on Hotstar and on Youtube. This show will be available for viewers from 1 February ,2016. New show story is really interesting.Tamanna show is a story about a women cricketer.This show present a true story in which you will see how much a women have to struggle to get success to full fill her dream. This show depicts a story of a girl who want to became a Cricketer. But her family and society doesn't support her.But she never loose her confidence and stay focused on her aim. Finally, she became top women cricketer of India. Shooting of the show is already started. We are sharing star cast of the show Tamanna here. Marathi actress Anuja Sathe is playing a role of aspiring cricketer in this show. Rahu Na Main Zara Mujh Main, Tere Hoke Re Ja Hoon..
Kissi Se Na Kaha Hai Jo, Tumhi Se Baat Woh Keh Du..
Sabi Dete Hai Dil Aksar, Main Tujhko Jaan bhi dedu..
Yeh hai Sakoon, Yeh Hai Junoon..Yeh Tashan-E-Ishq Hai..